TV viewing has increasingly become a distracted, two-screen experience, but it turns out there is a way to demand the audience's undivided attention. The trick: making people not just watch, but read. Subtitled programming isn't quite sweeping TV. For now, it remains largely confined to the medium's equivalent of the art-house tier. Thanks to premium TV outlets and niche services, though, subtitled shows have become more common and available. 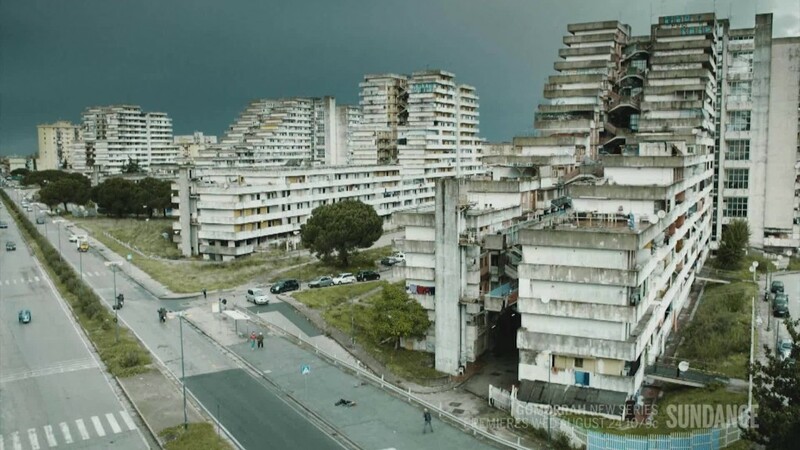 SundanceTV's latest series, the taut Italian crime drama "Gomorrah," premieres Aug. 24. "Narcos," the Netflix show about drug dealer Pablo Escobar, returns Sept. 2, relying heavily on subtitles for non-Spanish speakers. International acquisitions have become a means of fleshing out program rosters. Netflix has picked up several subtitled series, while Sundance previously aired the macabre French drama "The Returned" and the German series "Deutschland 83." While subtitled movies are nothing new, the experience in television is different. A darkened theater compels viewers to keep eyes fixed on the screen, but TV has always competed with distractions, perhaps never more so than today. For viewers accustomed to getting other things done while watching TV -- tweeting, checking emails -- being required to stay focused on one screen does involve a higher level of commitment. Concentrating on the program at hand offers programmers one advantage in that it heightens audience engagement -- a sort of Holy Grail in media terms, certainly among advertisers (although a Netflix show like "Narcos" is presented commercial-free). But it also ratchets up the pressure on a program to deliver creatively, lest viewers begin to get antsy. More widely distributed networks have grown more willing to weave in subtitles, usually sparingly. In ABC's "Fresh Off the Boat" and CW's "Jane the Virgin," the grandmothers speak in their native tongues (Mandarin and Spanish, respectively), while their kids and grandkids respond in English. Still, the attention that's necessary to follow heavily or completely subtitled series does significantly alter the way they're consumed. That includes carving out windows of time where the customary distractions won't intervene. In other words, if subtitled TV is going to work, it had better be good enough to prevent viewers' interest from wandering. Because if not, there are clearly plenty of other things we could be doing.